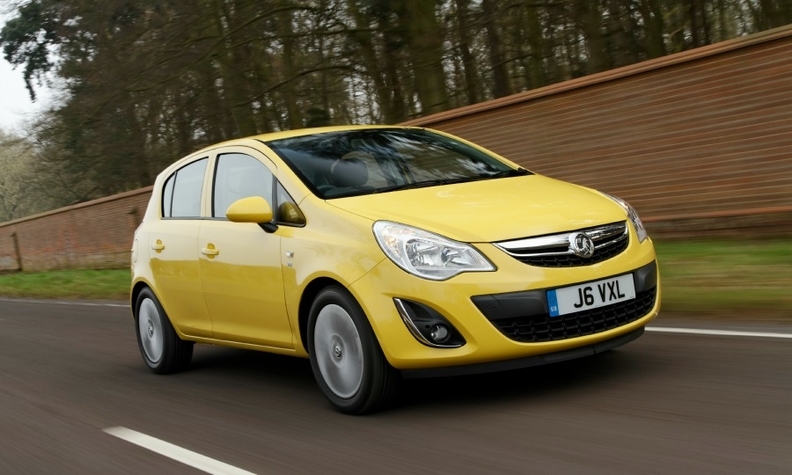 The next-generation Opel/Vauxhall Corsa subcompact will use a GM platform, Karl-Thomas Neumann said. The current model is shown. FRANKFURT (Reuters) -- Opel aims to return to profit and increase its market share in Europe by focusing on smaller cars using more components from parent company General Motors, CEO Karl-Thomas Neumann said. Opel and its UK sister brand Vauxhall plan to become the number two in the European passenger-car market by 2022 and to increase market share in Europe to 8 percent, from a current level of around 5.8 percent, Neumann said. To reach this goal, Opel will launch 27 new models and 17 new engines between 2014 and 2018, making greater use of General Motors' technologies. "To be really profitable you need to use a global platform," Neumann said, explaining that this was the only way to achieve economies of scale in the car business. Opel has suffered for years from management disruption, a scarcity of small cars which are popular in Europe, and tension between GM's desire for global economies of scale and Opel's demands to cater for the local market. In April last year, General Motors pledged to invest 4 billion euros ($5.2 billion) in Opel by the end of 2016 to support the development of new cars. This forms part of a strategy to intertwine the Opel and Buick product ranges to share development costs, while focusing Opel sales in Europe, and Buick sales in the United States and China. Neumann wants to return Opel to profit by 2016 at the latest and to raise the business's operating return on sales to 5 percent -- based on earnings before interest and tax (EBIT) -- by 2022. "I have a lot of confidence about achieving our interim goal," Neumann said in response to a question about whether Opel will stop making losses by 2016. After more than a decade of losses, Opel has cut these in Europe by more than half in 2013 and expects this year to be burdened by non-recurring costs such as the closure of the Bochum factory and volatile currency headwinds, Neumann said. An agreement on severance terms for employees at its Bochum plant in Germany is expected in mid-June, he added. Bochum's closure is part of the plans to return to profit by 2016. Neumann said Opel plans to restore profitability by mid-decade thanks to improved utilization of plants, higher sales revenue as well as lower product and structural costs. Opel can make greater use of GM’s technology for its next generation of small cars because GM's vehicle are more flexible and modular than in the past. "The next generation Corsa will have a General Motors platform," Neumann said. In the past, Opel had relied on cooperation deals with other European automakers such as PSA/Peugeot-Citroen and Fiat to develop cars, particularly subcompact vehicles such as the Corsa, to European tastes. Whether or not to continue cooperation with PSA will depend on how successfully current projects are completed, Neumann said. Going forward, Opel will make cars for other brands including vehicles which will be marketed as Holden and Buick. Opel's current product range will also change, with the Zafira and Meriva minivans becoming more like SUVs in response to a shift in consumer taste, Neumann said. "I can also imagine a car positioned below the Adam," Neumann said referring to Opel's minicar. Opel will focus on developing as a brand that offers value-for-money German engineering and cars with upmarket interiors, Neumann said. Opel will avoid entering the market for large cars but may make more SUVs in addition to its Mokka subcompact model, he added. Cooperation between General Motors and Opel has not been significantly disrupted by the U.S. parent company's efforts to recall vehicles with faulty ignitions, Neumann said. "For the company as a whole it is an opportunity to implement deep seated change. Currently the structures are being adapted to ensure that people can't take short-cuts in the future."